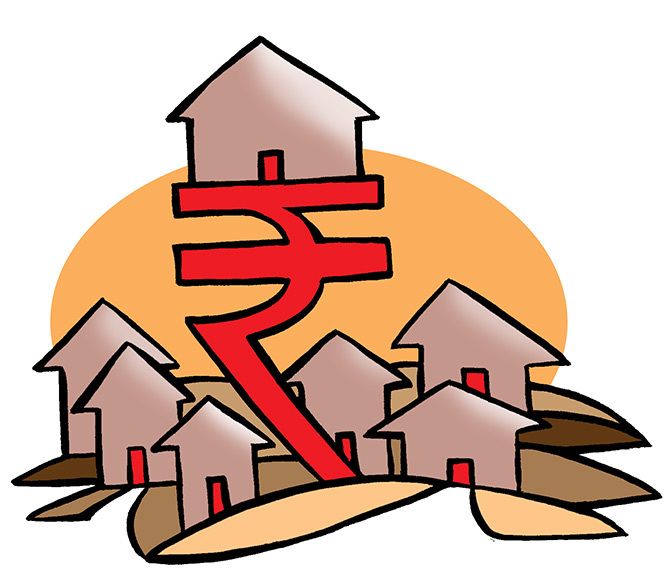 Vastu Housing Finance is trying to leverage technology to distinguish itself in a crowded space. After many years of a comfortable banking career with leading banks like GE Capital, Standard Chartered and Barclays, Sandeep Menon and Sujay Patil decided to rock the boat. At roughly 40, they found themselves at the crossroads with two options before them: One, continue on the staid, oft-treaded path and stay within the comfort zone; and two, stir things up a bit and take the plunge to go entrepreneurial. A long chat with his mentor and senior career banker P H Ravikumar (chairman of SKS Microfinance who also chairs Vastu Housing Finance) helped Menon make up his mind. Starting a new socially relevant business focused at the lower end of the pyramid seemed the more attractive choice to Menon. The goal was to build a “large credible, respected franchise in a for-profit model” with social impact as a key objective. He was joined by Sujay Patil, a graduate of Jamnalal Bajaj Institute of Management Studies and his former colleague at Standard Chartered and Barclays and now his co-founder at Vastu. Vastu Housing Finance was conceived in 2015 and has expanded at breakneck pace. By the end of March 2017, the company will have disbursed loans of around Rs 200 crore and will have around 250 employees on its rolls. The company has a presence in 18 (and will be taking this to 25 in the next two-three months) urban and semi urban cities. The venture is well-funded, having raised $22 million of capital in the first year itself, but has another $70 million committed from a star-studded line-up of investors including Renuka Ramnath, Pramod Bhasin and Vikram Gandhi among others. What Vastu is attempting is neither new nor unique. At last count, there were 16 new entrants in the space. At least 14 existing large players are already in the fray and several of them are expanding significantly. So, how does one stand out in an already crowded space? Menon says his company is using a fin-tech platform called Pulse -- a digital interface that allows them to give an in-principle approval (locking in the customer) and then does a physical validation as required by the regulatory process. “Five years ago, without this kind of tech support, we would have had to have 5,000 people to build a business of the size we are aiming for. Technology will allow us to do the same with 2,000 people,” says he. The experience for him has been a learning one because the new business has required him to shed all the legacies of a traditional bank or financial institution. So Vastu is able to give a “virtually paperless approval” and this is possible because of how they have leveraged technology to their advantage. The company’s customers range from vegetable vendors in Nasik to diamond workers in Surat and many have income as low as Rs 12,000 a month. On an average though, their customers have an income of Rs 50,000 in larger cities, Rs 35,000 in smaller cities and around Rs 25,000 in rural areas. The company already has 20-plus branches. A second distinguishing factor will be the talent pool they are trying to build. In an industry where churn is high and employee retention is quite a challenge, Vastu has decided to invest deeply in experience. The company has hired 16 “state leaders” with experience of 12-15 years each. Menon says the company interviewed over 250 candidates before choosing the ones they invited on board. Most of the leaders have considerable experience in the housing finance space with a reasonable understanding of underserved customers, the segment it is catering to. To ensure that they don’t lose talent, the company does regular “salary corrections” based on performance. Over the next seven-10 years, the company hopes to expand its total assets under management to $2 billion (75 per cent in housing and 25 per cent in non-housing), have a total of 200 branches and 2,500 employees. It is with this kind of ambition in mind that the founders are proceeding. Menon says a start-up of this kind is a humbling experience. Moreover, you have to be ready to accept your mistakes, course correct and adapt fast. And above all, you need patience, patience and then some more patience. Do Menon and Patil have the kind of patience required? The next decade will provide the answer.